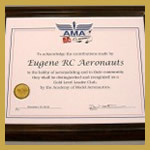 Academy of Model Aeronautics National Model Aircraft Safety Code must be adhered to. Use of field restricted to ERCA members and guests. Current ERCA member ID card is required for members and must be visible. Current AMA membership required for guests. No power flying before 0730. If not using a 2.4 GHZ transmitter, frequency clips must be used. All 72 MHZ transmitters must be certified narrow band operation. Quiet mufflers required on all 2-cycle engines. No excessive running of engines in the pit area. No flying over spectator area or pits. Do not taxi out or into pits. A/C are to be carried to safety and taxi line in front of pilot stations. Big Bird A/C can be taxied off of startup pads but must not be taxied back to pit area. Smoking allowed only in vehicles. Spectators must remain behind fence unless accompanied by a ERCA member. On Wednesday, Saturday and Sundays no flying is allowed prior to NOON. DO NOT ARRIVE AT THE FIELD BEFORE NOON. 1) Small electric aircraft, (park flyer or smaller) and helicopters can use/fly in the area west of the pits designated as the “Heli Pad”. 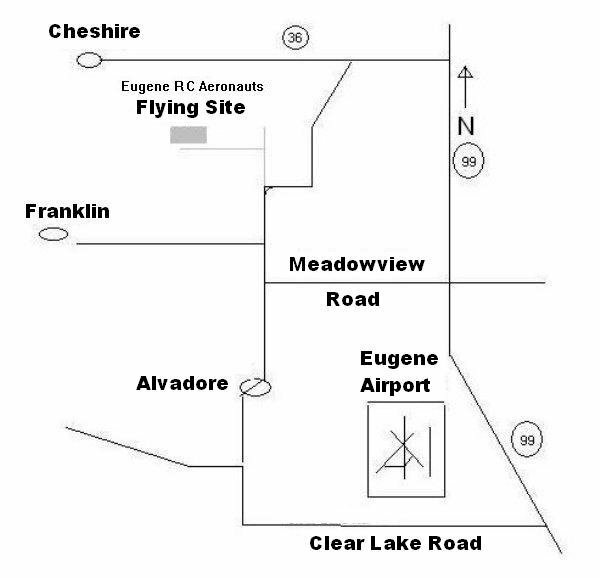 2) Flying is permitted south of the runway in the airspace to the west of/beyond the west end of the runway, as far south as the flyer can safely operate the aircraft. There is no flying over the Burgess residence or in the air above within 200 feet horizontally of the residence, (imagine a circular wall going up infinitely in the sky 200 feet from the house). Another way of looking at it: Imagine a line running along the south end of the runway, going east infinitely and to the west it turns 90 degrees south and goes on infinitely. All flying must be done beyond the lines to the north and west, (except for previously discussed heli pad use).